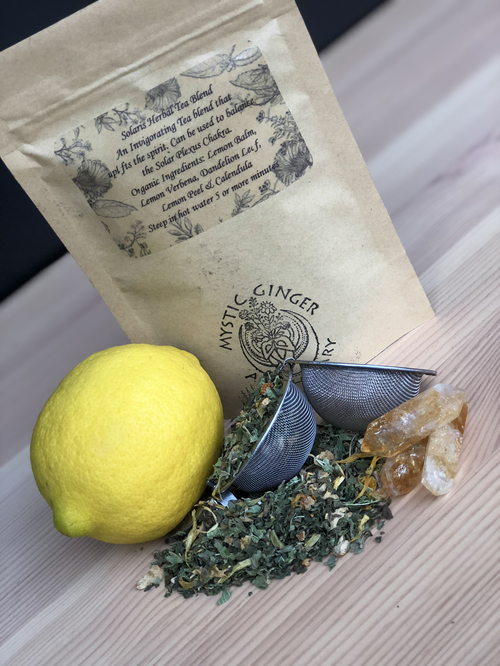 Solaris Tea Blend is an invigorating fusion of solar herbs and dried citrus fruits peels that uplifts the spirit and can be used to balance the Solar Plexus Chakra. 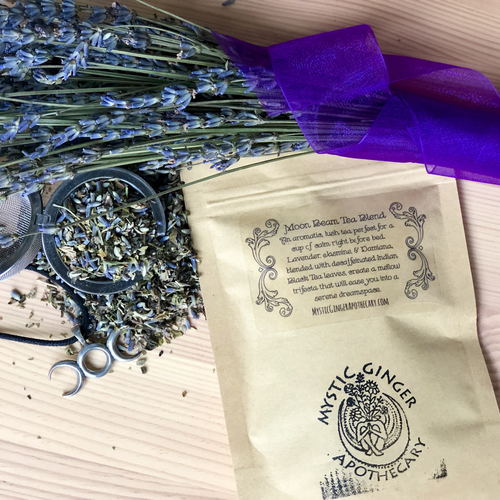 The Moon Beam Tea Blend is an aromatic, lush tea perfect for that cup of calm right before bed. 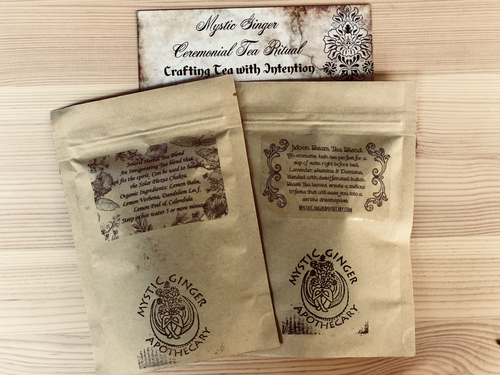 This exclusive sampler comes with a tea ceremony prepared by the creator, Mystic Ginger Apothecary.